The 4 star self catering apartments are only 500m from Gouves town centre and looks over the beach. Although it is in a quiet spot, you are never far from a taverna, bar or restaurant. 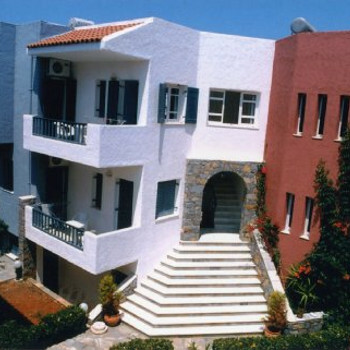 We wanted a nice quiet, relaxing holiday and Memories apartments in Gouves, Crete was just perfect. The rooms were spotless and opened out onto a beautiful garden. It was very quiet as we were about a 15 minute walk into the town.There were plenty of supermarkets and the food in all the tavernas we visited was superb. It took about 20 minutes to stroll down to the beach and they were mainly sandy.